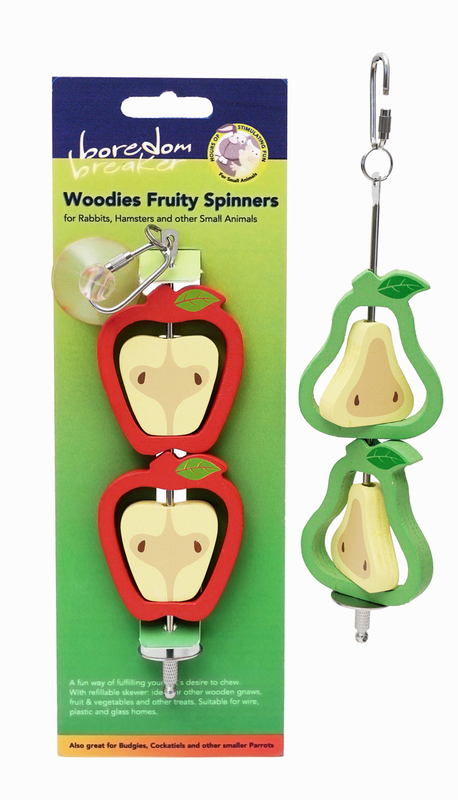 Boredom Breaker Woodies Fruity Spinners provide a fun way to promote your small pet's desire to chew. These wooden chew toys spin around as your pet plays and can be replaced with other wooden toys or treats that your pet enjoys. Suitable for use in wire, plastic and glass homes. Below are some recent questions we've received regarding Boredom Breaker Woodies Fruity Spinners, including answers from our team. what are the dimentions of this?? The product is 23cm long and 5.5cm wide.